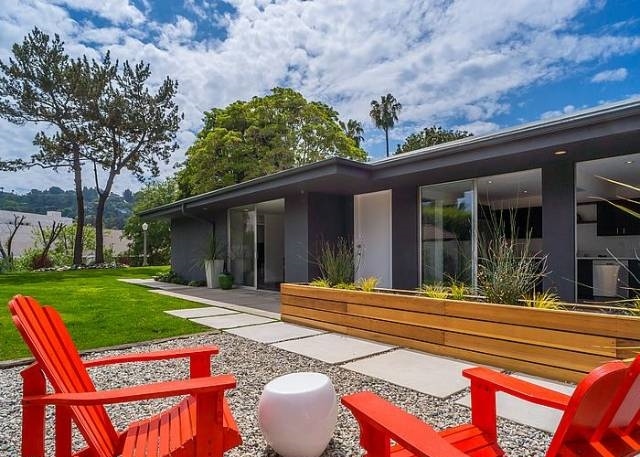 A classic mid-century home located in one the Valley's most desirable neighborhoods on a 10,635 sq ft lot. 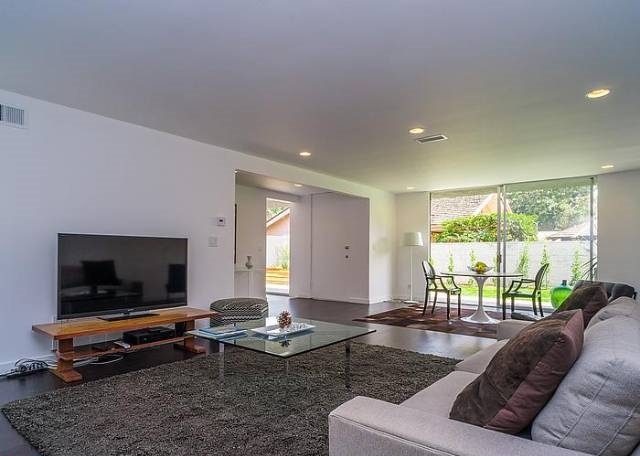 This light filled and open modern home offers a large living room with working fireplace, 2 bedrooms, each with beautiful en-suite baths, 1 powder room, and a 2-car garage. The residence features a beautiful new custom kitchen with stainless steel appliances. The house has privacy from adjacent properties and spacious back yard with views of the hills.